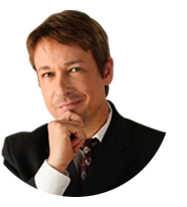 "Top Class Hypnotherapist Unveils The Formula That Instills Powerful leadership Abilities In Just About Anyone Who Comes Into Contact With It!" If I told you that there was one invaluable trait or quality that could multiply the results of everything you do exponentially, would you be curious to know what it was? If I told you that this invaluable trait could greatly improve your career status or make your business more profitable, I bet your curiosity would begin to peak even more. Well, what if I told you that every successful person in history ranging from ultra-successful business people to noteworthy politicians to everyday people who are raising children, has displayed this trait in some way in order for their success to manifest? And what I f I told you that I could help you attain this invaluable trait or improve upon it even further if you already exhibit it? Would you listen to what I have to say? In case you haven’t figured it out, the invaluable trait that I am talking about is leadership and whether you realize it or not, the level of achievement and success of every single thing that you do in life is in direct proportion to your ability to lead others. Whether your goal in life is to be a great parent and develop children that change the world or to become financially independent or a philanthropist who makes a difference in the life of others; if you cannot be an effective leader, you’re wasting your time. Even things like persistence, education, knowledge, powerful intuition, raw talent or any other notable trait take a back seat to effective leadership. And the reason behind that is as one person, you can only do so many things. But when you can lead others to apply their time, energy, talents and qualities, you increase the levels of success overall by a much greater amount. Aside from that, people who are great leaders not only enjoy admiration from just about everyone, they also seem to attract more opportunities that bring their levels of success even higher. So let me ask you one more question: Do you want to become a powerful leader or further increase your current leadership abilities? Of course you do. Why wouldn’t you? And that’s why I’ve created what might be the best system for building leadership in anyone. 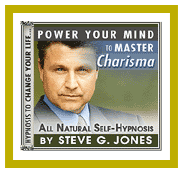 My name is Dr. Steve G. Jones, Ed.D., clinical hypnotherapist and for the past 25 years I have been helping people improve various aspects of their lives using the power of hypnosis. And now, after years of investing my time, energy and resources, I have perfected a hypnotic system that can empower anyone to become a leader. Introducing the Apply Leadership System By Dr. Steve G. Jones, Ed.D., M.Ed. The Three Different Types Of Leadership – Many people think there is only one form of leadership, but there are more and it is essential that you identify which one is congruent to your natural personality. Five Steps To Engage And inspire Others To Follow Your Lead – These five steps are essential to forming your role as a leader in the eyes of others. Four Techniques To Help Others Be More Successful – Once you show others how to be more successful, they will easily follow you. The Secret Element That All Of Your Leadership Ability Rides On – If you have this element, you’re almost guaranteed to lead, but without it you’re almost guaranteed to be a follower instead. How To Earn The Respect That Positions You To Lead Forever – People will never follow someone they do not respect. Learn how to earn that respect effectively. How To Get Others To Become Leaders - Once you instill this trait in others, your role as a leader will be forged forever. In the past, the only way that I could make such powerful changes in people was to do so in a private session, which is something that has a $25,000 price tag attached to it. Because of that, my capabilities were limited and that’s why I created a system just as effective that people can use independently right from their own home. And that’s why I’m practically giving the program way at just $27.97. And to ensure your success even further, I am going include this bonus recording. I have stopped at nothing to ensure that my system will transform anyone into an effective leader and to prove it, I’m going to let you try my system for the next 8 weeks risk free. Don't decide now. Try my proven system for a full 60 days. If you don't experience a noticeable increase in your leadership abilities, then just let me know within 60 days of your purchase date and I'll promptly issue ou a full, no questions asked, refund. All the risk has now vanished because I’m the one taking the chance here Fair enough? our purchase of the products is governed by the terms and conditions contained in the End User License Agreement ('EULA'). Please read this EULA carefully before completing your purchase. By completing your purchase, you agree that you have read the EULA and agree to be bound by its terms. If you do not agree to the terms of the EULA DO NOT complete your purchase.